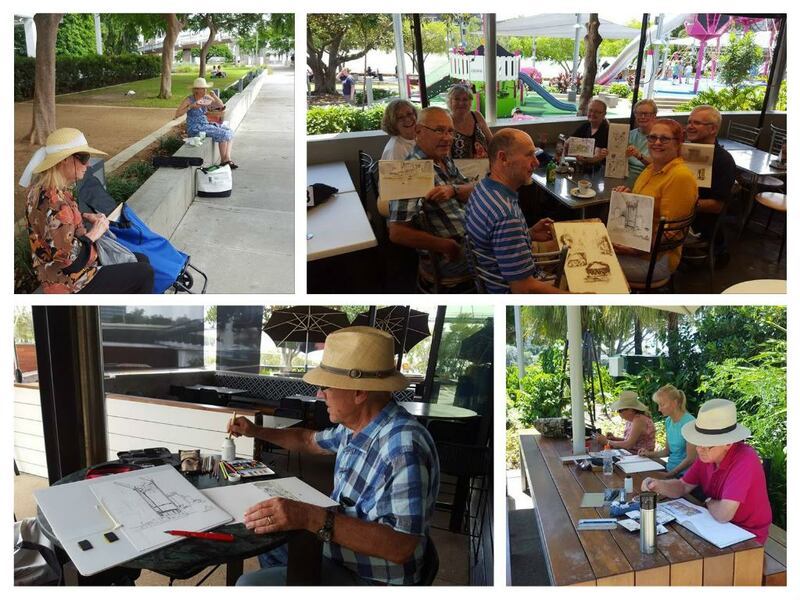 USk Brisbane has had a great sketch-out every Tuesday and Saturday for the month of February. We gathered at some wonderful Brisbane sketching locations. 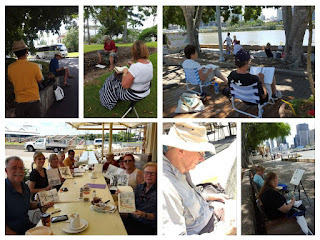 We met for our first sketch-out for the month at the State Library; we were able to sketch the library-goers, the surrounding trees, and the view from the ‘Red Box’ of the Brisbane CBD across the river. We twice visited historic Newstead House. On these sketch-outs we welcomed to our happy group new sketchers Chloe and Marnie Christine, and then gathered for lunch at the Breakfast Creek Hotel. We welcomed some more new sketchers, Jock and Atsuko, to the group when we visited the Boundary Street Markets. Other places we visited were the Gallery of Modern Art and the old Customs House, and we also made three visits to Southbank Parklands. On one of the visits to Southbank we were joined by Kurt from Toowoomba. As well as the official sketch-outs, some of the Brisbane USk sketchers were able to meet for an evening sketch-out for the Chinese New Year in the Chinatown Mall. We would also like welcome Liane as an addition to our admin team, to thank her for stepping up to organise two successful sketch-outs.